How can I improve the image quality when converting to PDF? 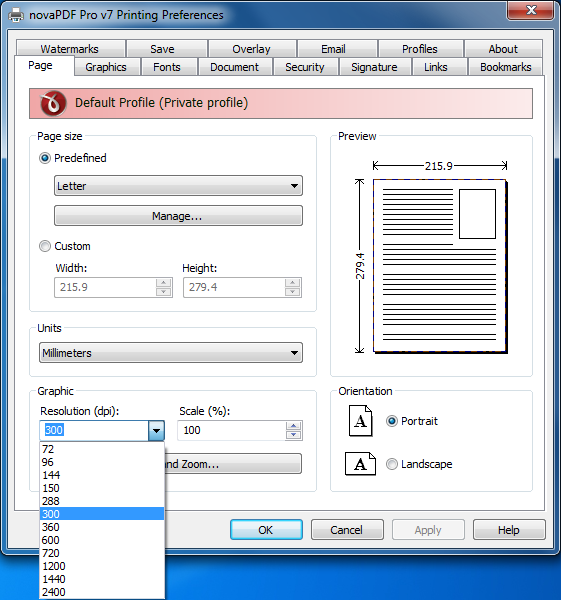 Customize image quality vs image size in the generated PDF file. In novaPDF Standard and Professional there is a Graphics tab that lets you select several Predefined graphic options. 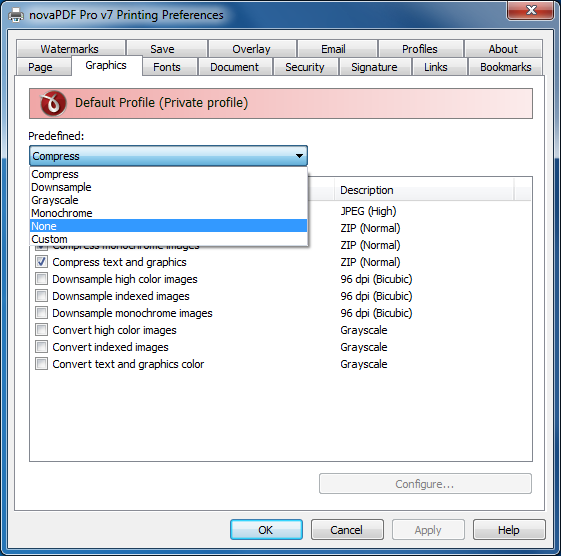 By default Compress is selected, which will compress the text and graphics when converting to PDF so that the size of the PDF file will be smaller. However, if you want to have a better image quality in the PDF file you can turn off text/graphics compression (size of the PDF will increase though). You can convert web pages to PDF from popular browsers like Internet Explorer, Firefox and Chrome by installing a PDF creator that works as a virtual PDF printer. Once the printer is installed, you can simply print to it and a PDF file will be generated. This article shows how to do such conversions and the first step is to download and install novaPDF from the Download page.